Morning all, its time for the post you've all been waiting for...the summary of all of the contributions to this month's session. We had a good number of contributions (25 I think)* though I'd hoped for more but December is a busy month for people. I've decided to give out a prize for the best contribution (not including my own of course!) the winner of which I'll divulge at the end of this round-up (no skipping to the end!). Quick out of the blocks was Paul over at Sockster's brewhouse with these two recollections of his old stomping ground, certainly plan to visit that pub if ever in the area! 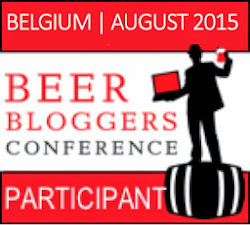 Pierre Van Klomp participated in his first session and by way of 10 tweets regaled us with the tale of how he seceded from his uncle in the great Brouwerij Van Klomp . "My uncle laughs. “So, boy, YOU believe yourself a brewmaster now?” Then, on his gantry, he performs a so very mocking dance." Ding dug up an old yarn about a trip to Hook Norton but links it in with how beers have the power to remind us of place and time. Alan treated us to an excerpt of his new book with Max. About the tendency of people to get stuck on definitions sometimes. I like lagerer but more lagery fits better perhaps? The Beer Nut posted about beers that have their own yarns associated with them - highly fabricated of course and i can attest they're all talk and no trousers. 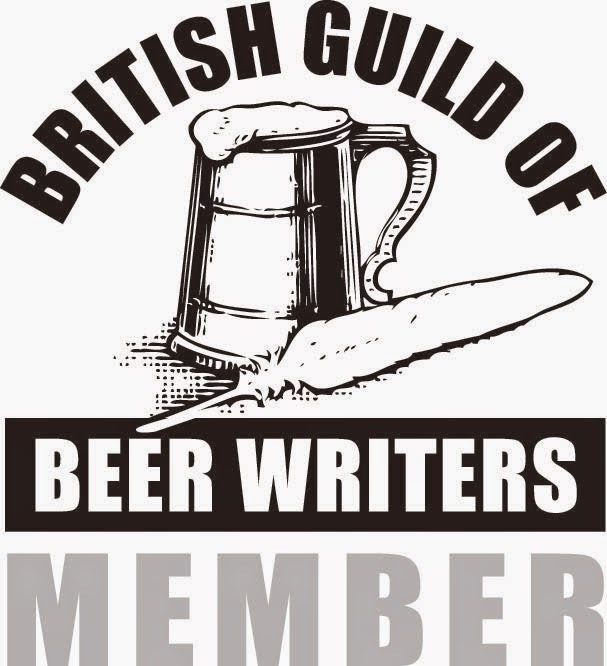 Nate at booze beats and bites recounts a beery mission to London from earlier this year. Pints and pubs gave us a few tales from the history books. Particularly like the highwayman story. Plus his own tale of a search for his holy gr-ale. Beer is your friend can't have a log fire because he's too hot (so how about a beery yarn for around a beach BBQ?). Boak & Bailey also recounted a tale of a pal "Aidan"'s lucky escape and the one-upmanship often present in pub banter. Later in the day they posted this tale of how beer got one general through the Delhi Mutiny which I take to be a second entry and you should read because its an interesting insight. James at Beer Bar Band managed a tale about drinking in Wellington, NZ just in time for the deadline. Makes me wish I was back there again. Stan gives us a tale of monks and brewing (from his Brew like a monk book). David recalls a trip to Hill Farmstead. Simon talks about beers for keeping. 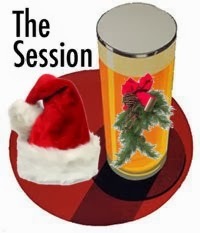 Reuben reminisces about his first taste of booze at Christmas, manages to squeeze in a review and has even festivised #TheSession logo (see above)! Douglas of Baltimore Bistro regaled us with a tale of a trip to Erdinger in Germany and how beer people are generally good people. Phil posted an excellent reminiscence about drinking with biker mates in Cornwall along with some rather fetching photographs. I for one had no clue what HSD meant; so good on Boak and Bailey for filling us in. Nitch (who hosted the session last month) comes up with a rather depressing tale of subterranean drinking which is the perfect length for the accompanying Tom Waits video. Chris from DRAFT mag shares his tale of woe and regret after an afternoon of drinking in Phoenix. Jon at 10th day Brewing went for fiction -a medieval meets currents days tale of caution, with a twist at the end. Nice one Jon. Rebecca remembers a beery dream, I've had plenty of them myself but none in such a pristine location! Oliver told us about finally getting to share a beer with his father in a medieval fayre of all places, nice one! On a similar (but different) theme, an 11th hour submission from Wayne about partying with his parentals. So now for the winner! My favourite tale of the bunch was Nate's, well done sir! See me to claim your prize ;). So now that's done I pass the baton to Rebecca at the Bake and Brew who is hosting next month with the intriguing punning topic of "Against The Grain". Cheers everyone that took part, see you all again soon. *Apologies if I missed any, feel free to chastise me as you see fit.